it's happening again. i can feel it. christmas is sneaking up on me. it feels like fall just arrived, and that it's insanely early to be shopping for christmas cards. but the truth is, i'm probably already late. if i ordered today (which will never happen, since i haven't even booked family pictures yet. oops! ellen, call me!) then i wouldn't get them for at least a week or two, and i'd still have to buy postage and address everything...and then december is over and i'm shopping new years cards. ugh. so, it's time. if i want to be proactive i need to start narrowing this down. 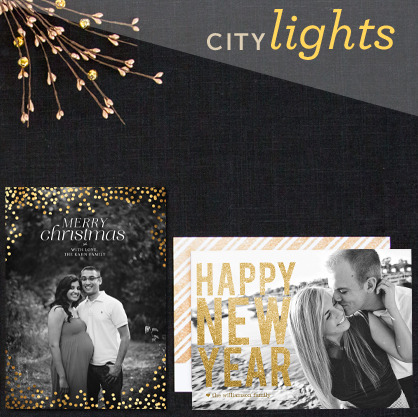 in the past, i always start with shutterfly, where we ordered our card from last year, because it's easy and relatively reasonable in price, and they usually have sales. but this year i've been introduced to quite a few new paper companies so i'm looking around at more than my usual go-to's. i'm starting where i'm comfortable- tiny prints is always my number two spot. they would be number one but they're usually a lot more expensive than shutterfly. 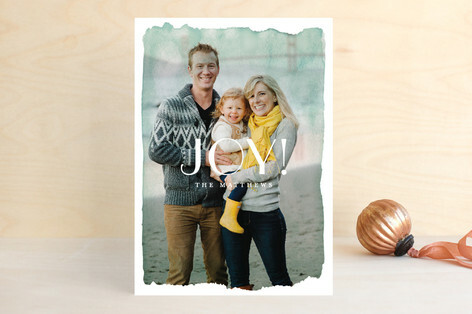 lots of this year's designs are tempting- and they're offering letterpress now, like this naturally happy letterpress card. this design from tiny prints is really sweet too. 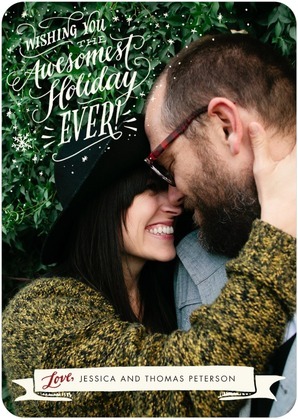 although i'm probably being swayed by her cute bangs and his hipster beard. 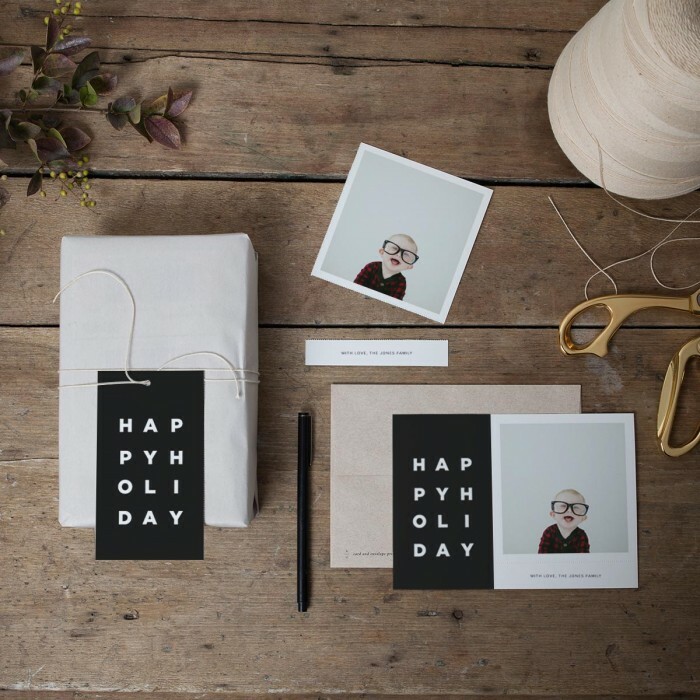 happy card from paper culture. i'm really digging this new-to-me company. very reasonable prices, nice card weight, and modern designs. and they plant a tree for every purchase. i'm semi-obsesed with this card and it's my current front runner. 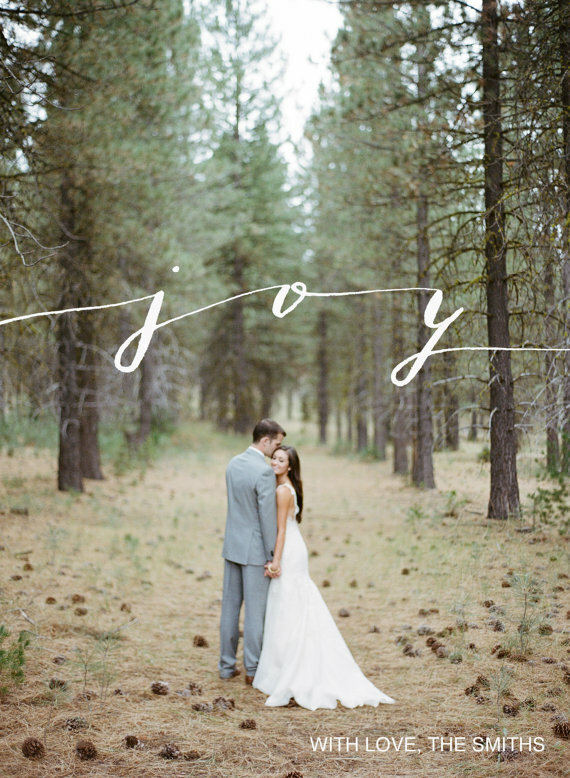 allie seidel offers a variety of hand lettered cards through her etsy shop. this is a very affordable option, as you provide the picture and family name, and she sends you a high-res jpeg that you can print as you please. that's pretty cool- and also, allie is really sweet. i've loved following along with her on instagram. this 3-in-1 card from artifact uprising is a holiday card, keepsake photo, and gift tag all in one. recipients can repurpose along perforated lines. and the design is oh-so-cool. i never do cards like this because i have no idea what to say about our year. 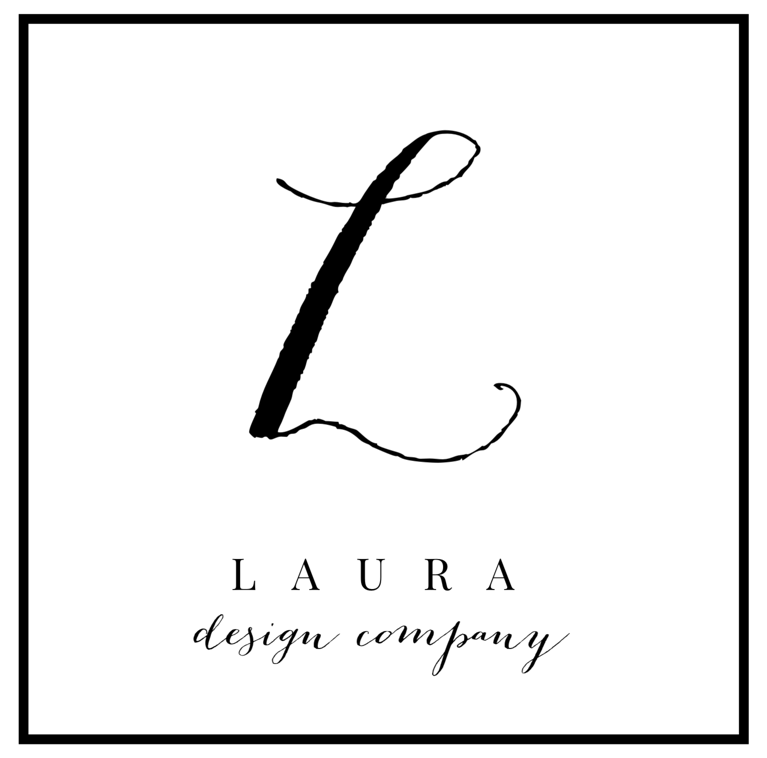 "er...laura started a blog." but i do really enjoy them from other people. 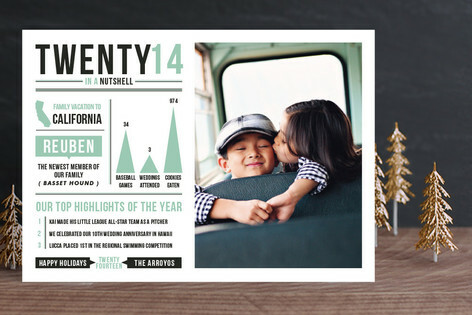 twenty-fourteen-in-a-nutshell by minted. this watercolor-inspired "aquarelle no. 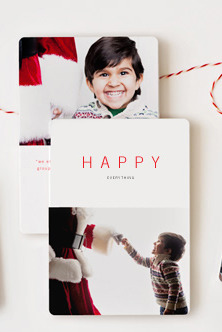 2" card from minted is pretty. 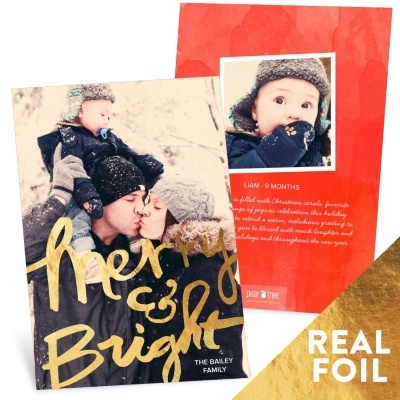 shiny gold foil continues to be a big trend, as in this merry & bright foil card from pear tree greetings. you can even plaster the entire back with more of the shiny stuff. ka-chow! cardstore is a source that some of my friends have used and really been happy with in the past. historically, they've had some pretty awesome black friday deals, so maybe keep an eye on their facebook page. 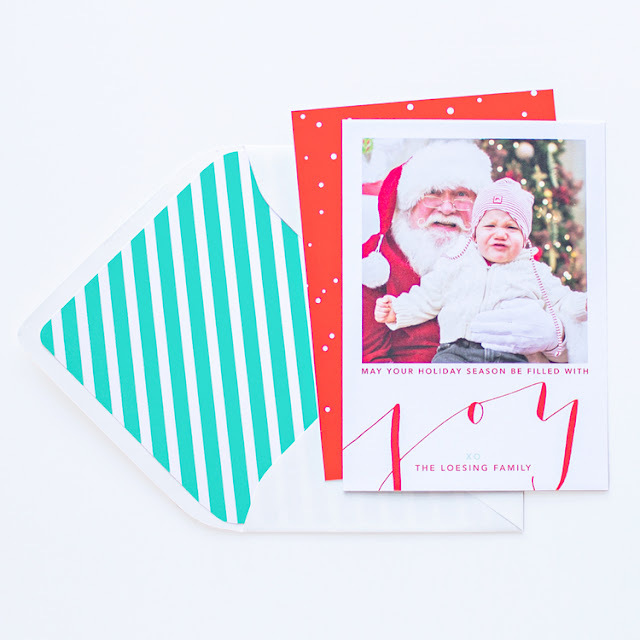 this picture is from their blog, showing one of their new collections for 2014.
this card is available in a myriad of colors from au designs studio on etsy - i'll take it in black & white please. the studio will do digital or real-life prints. this one is also available as a digital or printed option from paper heart prints. 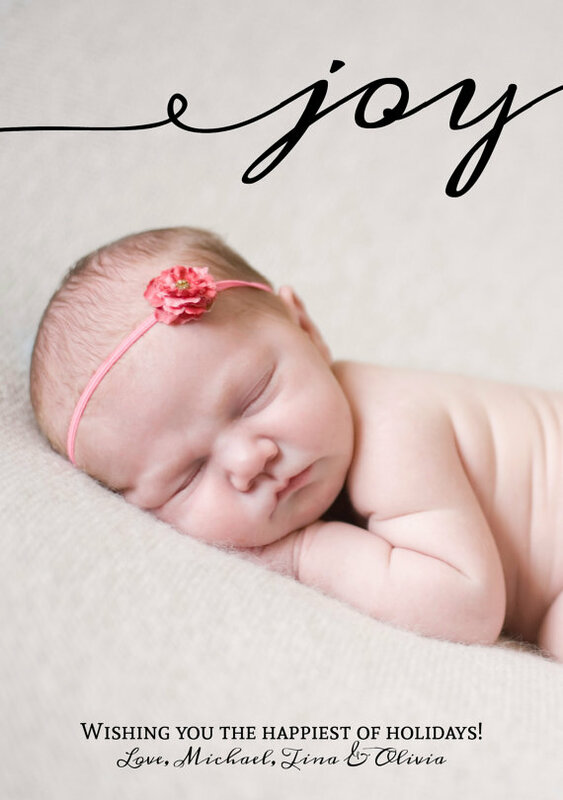 i try not to be swayed by the example photo...but oh those baby rolls! these wouldn't really be affordable en masse, but if you want to send one card to someone just for kicks, this made me chuckle. it would also be cute in a frame. 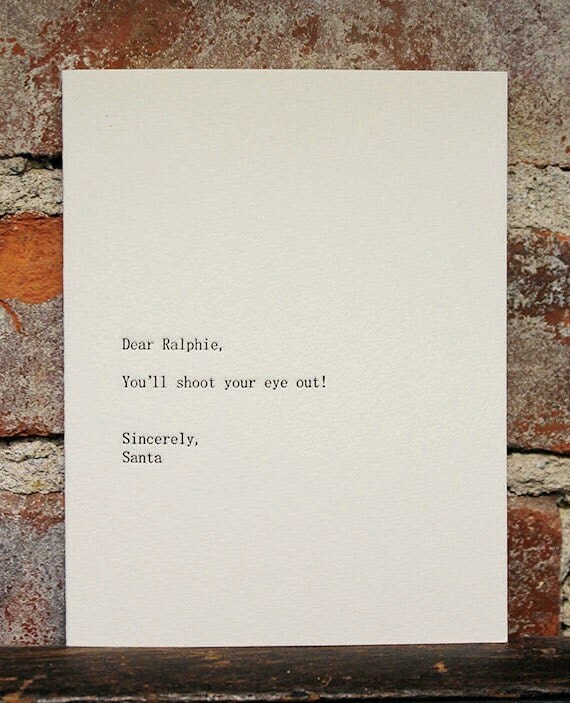 dear ralphie letterpress card from sapling press. 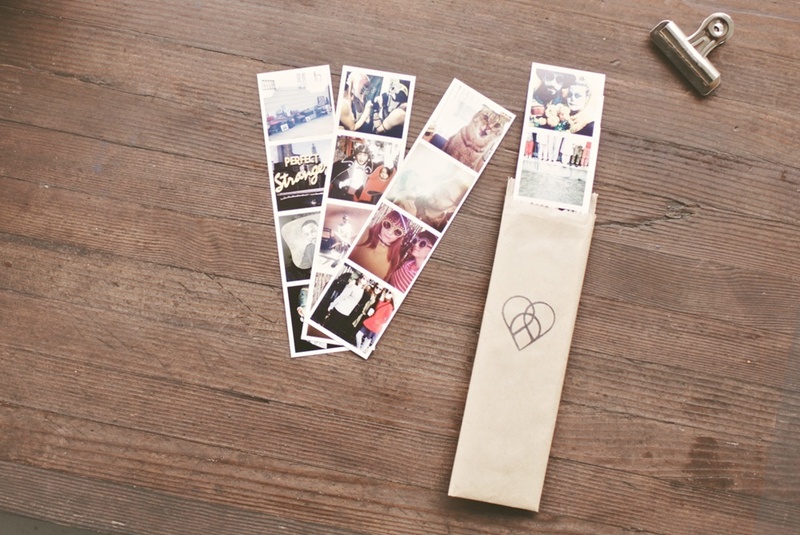 you could always tuck in a photostrip from printsagram. all the better if it's pictures of your boys engaging in activites that will likely result in lost eyes. 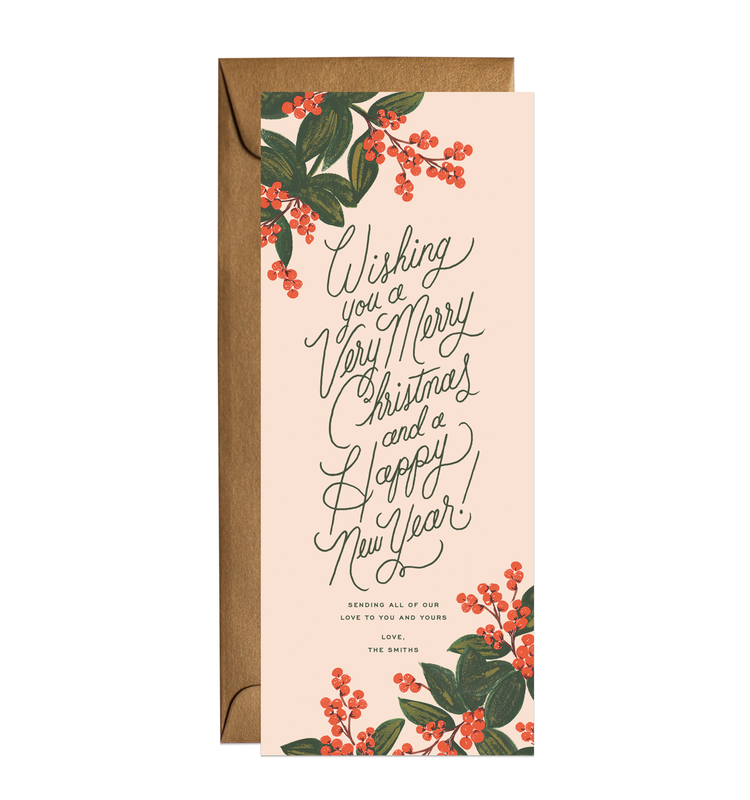 sugar paper & rifle paper co. also have some very pretty options for the non-photo crowd. (warning, these might cost more than the sum total of presents you were going to buy your kids). maybe these will be my back up if i don't get around to those family pictures. i should also give a shout-out to vistaprint. i normally would never have considered them, but they sent me a sample card and the quality and design was more impressive than i expected. their website had some cute options (though sadly not a high-res image that i could use here to show you), and the prices were pretty good. update 11.26.14: i still have not narrowed down my card choices, but i DID get some great christmas card photos of the kids. i ended up taking them myself on the trusty ol' iphone with vsco cam. so step one accomplished. yay! i also had to come update this post because one of my all-time favorite paper shops, yes ma'am paper goods, didn't have christmas cards out yet when i wrote this (and you know i checked!) but they do now! and they're photo cards! just in time to complicate my decision even further. hahaha. erica loesing, who runs the shop, has a variety of photo cards with her beautiful signature calligraphy layered on top, and some cute non-photo cards as well. AND she has the most darling rubber stamps, and gift tags, and wall calendars, and.....yeah, be careful if you go there, you could get in trouble. so, do you guys have any great sources for cards that i'm missing? i'd love to hear about them! and if you print your own, i'd love to hear what company or service you've used for that. have a great thanksgiving everyone! Wha?! You don't send Christmas cards? That's like not decorating for Fall or something! Horrible!! Bahahahaha. I have to admit I have an enormous love for this tradition- I love every one I get and hang them all up, and I even save them all every year. #hoarder :) Also, matching footy pajamas would be epic. 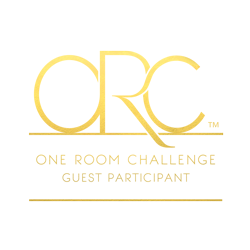 Get me on your list! Oh, also I save ours every year and add them to a garland. It's so fun to see our family grow and pull out the old cards every year. I didn't do it when we were first married and I've thought about going back and plugging in old pictures on new cards just so they can be on the garland. Is that weird?? Probably. 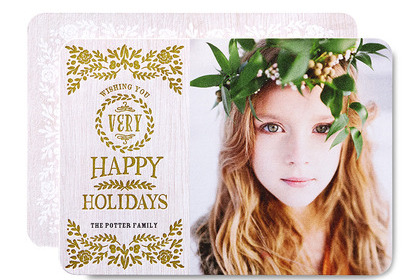 The water color-inspired card from minted is really pretty. Love it! So many choices! I admit I never missed a year until my kids all went away to school. Since then I haven't sent Holiday cards. Bah humbug huh? It's not as much fun since I can't get everyone in one spot at the same time, and getting college kids to send you a pic they like of themself is like asking them to cut off an arm. Especially girls since, you know, there is never a picture they actually like of themselves. Women! The bummer is I still LOVE to get them. I still love to look at all the websites thought because I'm paper obsessed and a girl can dream, right? I love Minted but Artifact Uprising is becoming one of my favorite places these days. It's a tough choice. You have your work cut out for you but I'm sure no matter what it will be lovely. Send me one so I can see your final choice and your beautiful family! Pam, I literally never would have thought about the difficulty of gathering college kids for a photo. And I thought getting them to sit still and smile as toddlers was hard! Sheesh! I immediately told Eva (age 6) that she'll be coming home for photos when she goes to college. Figure it can't hurt to start at least trying to brainwash them early, right!? Her response was: "I'm not going to college! I'm living with you forever!" Hmmmm.....that might not be good either. Haha! And yeah, I'm paper obsessed too. 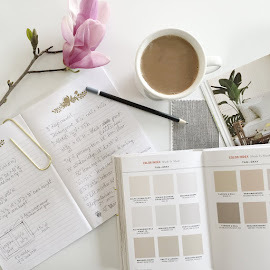 Did you know I regularly stalk your paper pinterest board? Yep, I do. xo! Thank you for including one of my cards, I'm feeling so honored! I offer digital copies or printed cards :) Your blog is lovely, I'll definitely be reading it often! Monica- absolutely! Your cards and shop are darling. And seriously, where is that baby so I can squeeze her?! Thanks for letting me know about the printed option- I'll change the caption to make a note of it in the post. Thanks so much for stopping by & your kind words!